Some delicious recipe ideas for using up leftover ham! I have partnered with Smithfield and all opinions are 100% my own. Today’s post is second in series of my posts with Smithfield! Have you taken part in the huge GIVEAWAY going on the blog right now? It ends tomorrow and all you have to do is go HERE & leave a comment!! One LUCKY WINNER gets to win bacon for a year!! Ok so enough about the crazy awesome giveaway! I am excited that I get to work with my favorite brand once again and today’s post is a special one! I have a tendency to cook way more than required amount because let’s be honest, who wants to send guests home on an empty stomach? And so most often I end up having leftovers and there have been times when it has been a struggle to figure out how to use up the leftovers! Have you faced a similar situation?! 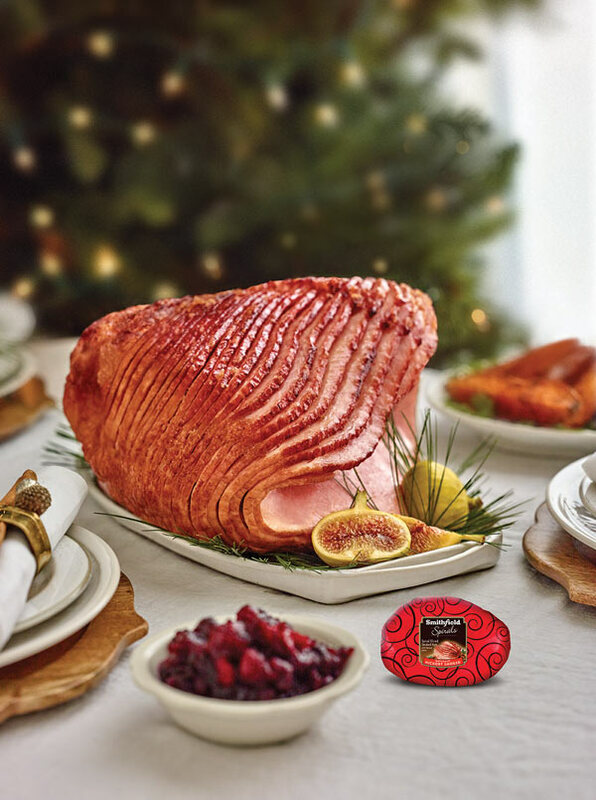 Now Smithfield Signature Spiral Sliced Hams are awesome and worth every single penny. Smithfield has tons of fun ideas on their website for using up leftover ham and one of my favorite is this amazingly delicious ham sandwich! Until recently I had no idea how easy it was to cook a ham – just pop it in the oven at 275 degrees for about 10 – 12 minutes per pound, then evenly brush on the tasty glaze and you’re done. I was like whoa, that’s it?! Another idea which I am planning on using this holiday season after I am left with tons of leftovers is to make these cute Baked Ham & Chive Mashed Potato Cakes! You can check out more amazing ideas on Smithfield website! So many great yummy ideas that I can’t wait for leftovers! And don’t forget to check out Smithfield.com/BaconBar to learn how to set up your own bacon bar for holidays?! I am telling ya you will love it!